Next Day Free Shipping a Precursor to iPhone 5 Price Drop? 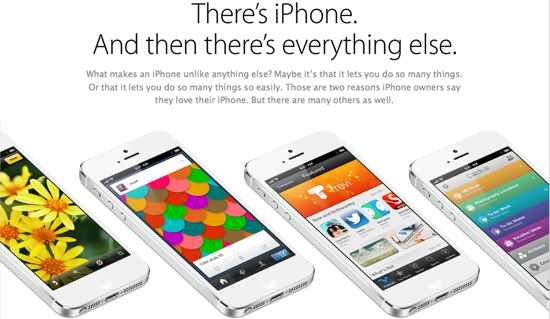 Apple is very worried about the impact of Samsung’s upcoming Galaxy S4 smartphone on its iPhone 5 cash cow. Early impressions of the Galaxy S4 have been extremely positive and that cannot augur well for robust sales of the iPhone 5 whose specs are unmistakably inferior to that of its Android rival. In Apple’s last quarter, iPhone sales amounted to $30.67 billion, or 56% of the company’s total sales of $54.51 billion. A slip in iPhone sales this quarter or the next can severely punish a stock that’s already been strongly dented in recent months. That’s why so many people do. But people, even Apple the fanboys and shareholders, want more than subliminal advertising comfort these days, more so when they know that the lion is cornered! Second, Apple launched free next day shipping for the iPhone 5 on March 25. 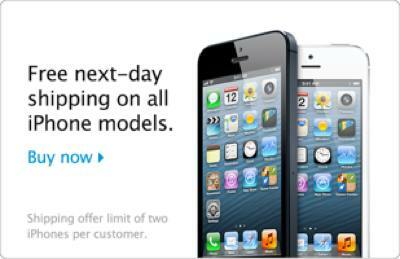 Apple already offered free shipping on the iPhone 5 but next-day free shipping is new. Well, next-day free shipping is better than a new advertising theme. But that’s still not enough when a seemingly better phone is going to ship in 30-days or so! So what are the other arrows in Apple’s quiver to combat the Galaxy S4 threat since it’s unlikely to have a comparable offering for at least a few more months? Apple has two pointed arrows left in its quiver that it can aim at the competition, the Samsung Galaxy S4 – the old IT industry tactic of leaking news about the next-generation product viz. a “wonderful” new iPhone, and a price drop. Still, there’s only so much rumors and leaks about a new iPhone can do for you compared to a richer Android device in your hand. A good Android smartphone in hand is worth an iPhone upgrade in the bush! I for one would not be surprised in the least to see a price drop for the iPhone 5 around the time the Galaxy S4 starts shipping, sometime in April/May. Will that be enough to stem the tide of potential defectors to the Android shores? No, but a price drop is the least Apple will most likely do. So if you’re planning on getting a new iPhone, wait at least a month or two if you want to save some dollars.